By definition, every custom home and luxury home is different because it's tailored precisely to your own needs and vision. We have over twenty years experience in the custom new home and renovation installation of specialty and custom plumbing fixtures and systems. 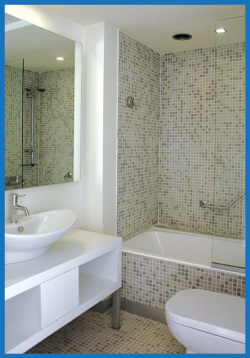 Thinking of renovating your bathroom or creating that dream kitchen you've always wanted? Give us a call and we can help by adding our expertise and knowledge to work towards developing your vision into reality. We have access to many suppliers with products at every budget, which gives us the ability to show you what is available and the cost associated. Check out our photo gallery to see some of our past work!